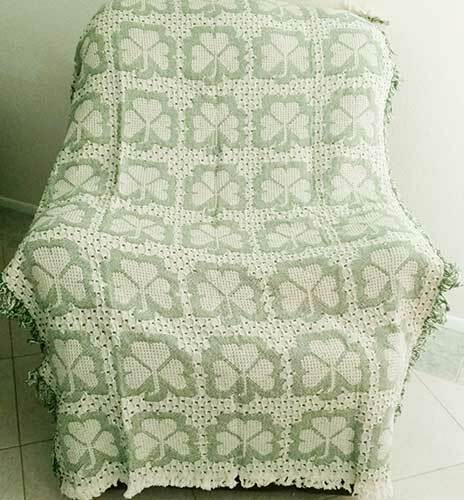 Irish blanket features green shamrocks on one side and cream color shamrocks on the other side. This Irish blanket is a double sided design. This shamrock throw blanket features a double layer along with a double sided design. 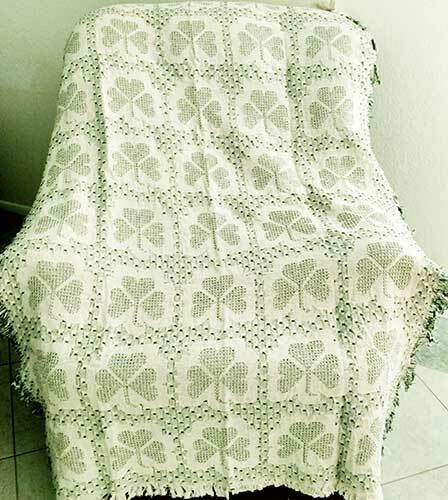 The shamrock blanket is 100% cotton and measures 46" wide x 67" long. 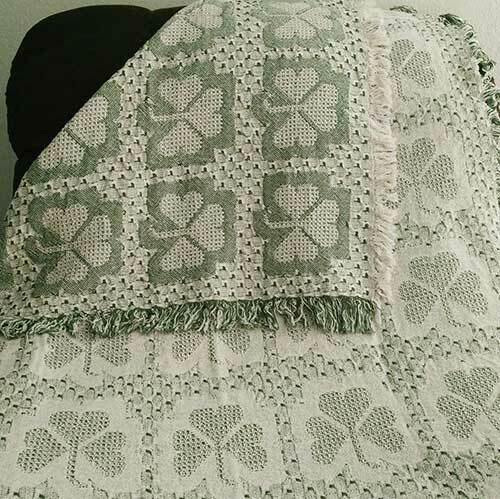 The Irish throw is made in the United States and it is received with a shamrock history card, complements of The Irish Gift House.